The Static Jacks, gefolgt von Eula und dann der Headliner Mission Of Burma (auch wenn da was von Howler steht). I just like these signs at concert venues; they make everything look so important! 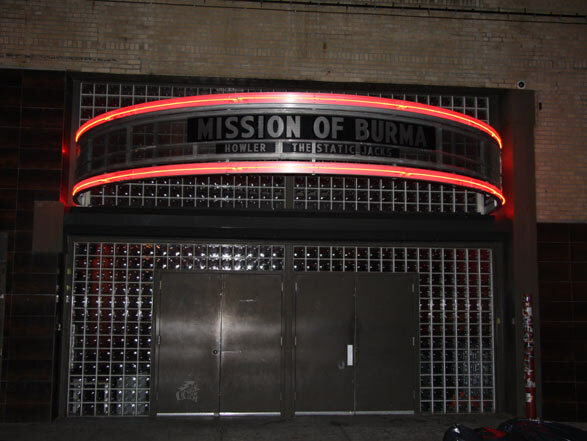 Cool and this was my concert at the Music Hall Of Williamsburg which is located in Brooklyn – New York. Nice place, with a gallery which gives a good sight from „above“. The lineup was The Static Jacks, Eula and Mission Of Burma.